Both unity and uniformity can be used to describe a unified group of people. The terms are not the same; they bespeak two differing types of unification. In particular, they address the mechanism by which unification occurs. Unity is unification based on agreement. Uniformity is unification based on similarity. One uses harmony of opinion to form a consensus which is agreeable within a group, without sacrificing the uniqueness of each member. 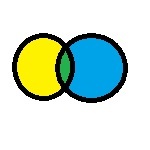 The other harmonizes all members of the group by destroying the uniqueness of each member and forcing all to conform to a single pattern. One adds members to the group as they are, accepting those differences that do not destroy the ability of the group to stand behind the thing that brought them together. The other adds members to the group by destroying all diversity, whether at the point a new member is added or progressively over time. Which unification does your group strive for? This entry was posted on Tuesday, September 21st, 2010 at 12:00 and is filed under Featured. You can follow any responses to this entry through the RSS 2.0 feed. You can leave a response, or trackback from your own site.